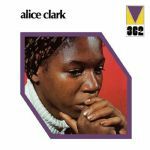 Review: Two powerful soul sessions from Alice Clark's eponymous debut 1972 album. 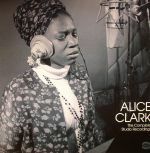 "Don't You Care" is a hard-hitting soul standard (that became very popular in acid jazz scene in the early 90s) where Alice opens her heart for all to see while her incredible band ebb and flow with Clark's emotions. "Never Did I Stop Loving You", meanwhile, languishes in sentiment at a slightly lower tempo that allows her to really dig deep for those low notes. The real fun happens as we reach momentum towards the end and every band member brings out their A-game and bounces off each other - backing up Alice every step of the way. You will care about this.